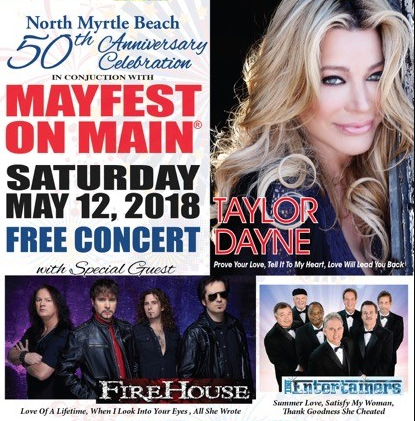 The City of North Myrtle Beach has announced it is celebrating its’ 50th anniversary at the Mayfest on Main Festival. This year’s event takes place on May 12, 2018 so, be sure to mark your calendar now! The family friendly event takes place at the Horseshoe at 11 South Ocean Blvd., from 10 a.m. to 6 p.m. This one day event is held rain or shine and is in close proximity to Avista Resort where you’ll find luxury oceanfront accommodations. DID YOU KNOW!? Avista Resort is only 3 blocks away from Main Street! Easily within walking distance. 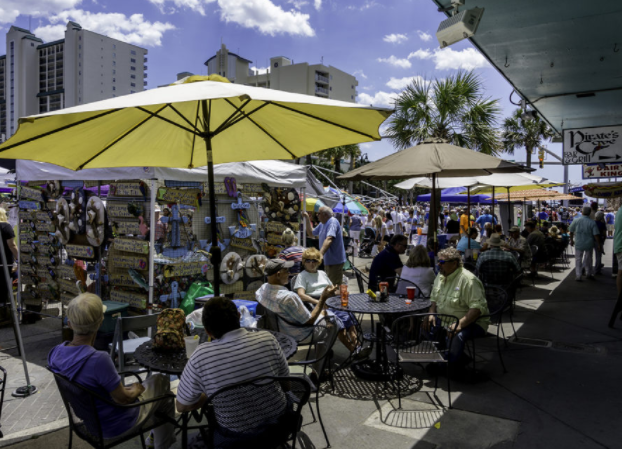 During the festival approximately 100 crafters will display their crafts along Main Street in North Myrtle along with food vendors serving a variety of treats. Children will enjoy being entertained in their own kid’s area. A community stage at the festival will provide plenty of live music and performances from 10:00 a.m. until 4:00 p.m. At 12 noon the main stage will begin to feature some of the best musical talents around performing until 6:00 p.m.
Bring a beach chair if you want to sit and enjoy the music or wear your dancing shoes if you don’t plan on sitting still! You’ll be able to browse the local shops while strolling up and down Main Street making one of a kind beach memories. Bring a picnic lunch and spend time on the beach while soaking up the sun! Next PostNext Avista Resort Rated #1 on TripAdvisor for North Myrtle Beach Hotels!